In Canada veterinarians are proactively banning declaw, the latest province to do this is New Brunswick. Nova Scotia was the first province to ban the practice in 2017. It’s also now illegal to declaw in Prince Edward Island, Newfoundland/Labrador and British Columbia. Nationwide Canadian veterinarians, province by province, are taking matters into their hands. What’s more VCA hospitals in Canada have just proactively announced that they have banned declaw. In the U.S., veterinarians aren’t doing this – so the result is that they are being told how to practice veterinary medicine by politicians, which I am typically very much against. 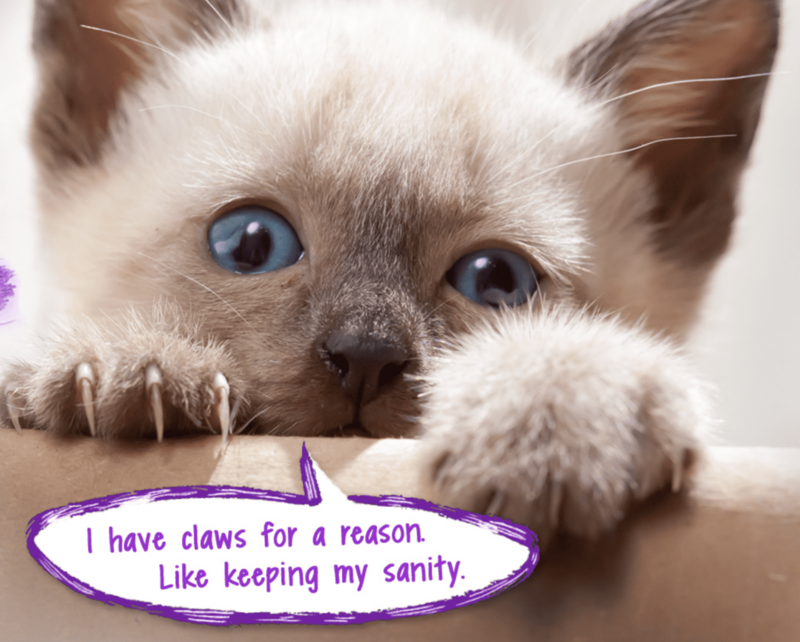 But in nearly all cases, declaw is unnecessary and we now know more than ever before about the harmful affects. And we have more tools than ever before to direct cats to scratching posts. Onychectomy or declaw of domestic cats was outlawed in 2017 in Denver, CO and bans are already in place in Los Angeles, San Francisco, Santa Monica, Berkeley, Beverly Hills, Culver City, West Hollywood and Burbank all in California. No doubt more cities will follow. If veterinary medicine doesn’t keep pace with the public (and their own membership), they will be legislated upon, as has begun to happen. I have no idea but I am guessing that most veterinary technicians/nurses are adamantly opposed to declaw, and an increasing number of veterinarians, particularly newer grads feel the same. Meanwhile, veterinary credibility to the general public will suffer. The perception of a considerable number of pet parents is that the profession is simply out for the money. This is one reason why I believe veterinary professionals must step up on their own, as they’ve begun to do in Canada in a big way. This issue is so fraught with emotion that individual veterinarians and practices who outwardly declaw are sometimes threatened, or even attacked in social media. I’m most certainly not about to defend those bullying tactics. That’s wrong, very wrong – period. 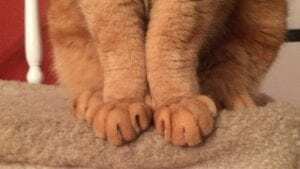 Themens correctly states that as more studies have been published in recent years, it turns out that declawing isn’t as benign as previously thought. One traditional argument is that if cats continue to scratch inappropriately (and not declawed) they will be given up to shelters. However, with the pheromone product and behavior modification, the behavior can be curtailed. 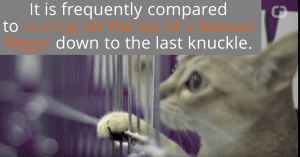 No matter, according to a 2015 paper published in Applied Behavior Science from Saethra Jade Fritscher and James Ha called “Declawing has no effect on biting behavior but does affect adoption outcomes for domestic cats in an animal shelter,” declawed cats are more actually more difficult to adopt. And there’s all sorts of new research documenting deleterious physical effects of declaw, including a report from Nicole K Martell-Moran, Mauricio Solano and Hugh GG Townsend called “Pain and adverse behavior in declawed cats,” published in 2017 in the Journal of Feline Medicine and Surgery. Clients aren’t always so willing to take a step-by-step approach using behavior modification approaches, or techniques like clicker training. Cat caretakers want a quick fix. 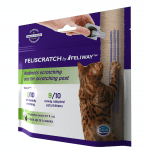 Well, now that quick fix is available, Feliscratch is a product that directs cats to “scratch here” on a vertical post. The blue dye is a visual marker, catnip is an attractant from several feet away, and the real secret sauce in the product to encourage scratching is the synthetic feline interdigital semiochemical pheromone (which cats naturally deposit where they scratch). 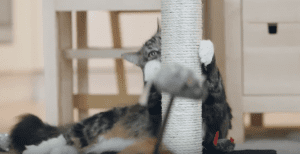 This product alone, and better with behavior modification, persuades cats to scratch where we like, as long as posts are placed correctly, there are enough posts in the home, and the cat isn’t concerned about other anxiety-inducing issues (such as inter-cat aggression). So, with an increased ability to direct cats to scratch in all the right places, combined with mounting public pressure, and more science than ever before – why would veterinarians oppose laws to ban declaw?